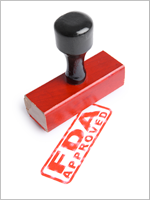 The US Food and Drug Administration has granted accelerated approval to pembrolizumab (Keytruda injection) for use in patients with recurrent or metastatic head and neck squamous cell carcinoma whose disease progressed after platinum-containing chemotherapy. The injection is recommended to be administered at 200 mg intravenously for 30 minutes every 3 weeks. Daclizumab (Zinbryta) has been approved by the US Food and Drug Administration for adults with relapsing forms of multiple sclerosis. The drug is self-administered by the patient monthly, and comes in the form of a long-acting injection. The US Food and Drug Administration has approved Netspot, the first kit for preparation of gallium Ga 68 dotatate injection, for the detection of neuroendocrine tumors in adult and pediatric patients. The injection serves as a radioactive diagnostic agent for positron emission tomography imaging.